The coming week sees workers in many different sectors taking industrial action against unfair wage freezes, reckless cuts and privatisations which are ripping the guts out of Britain. 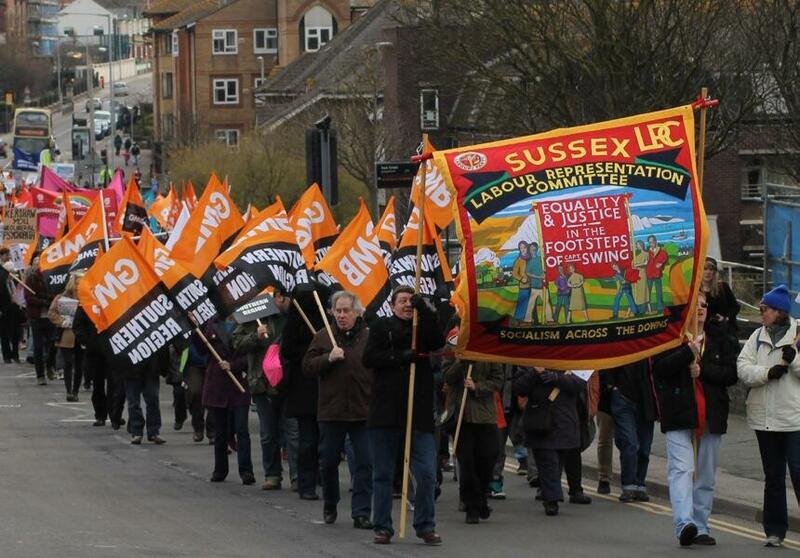 Mixed in amongst these is a major protest in Brighton on Saturday in defence of our NHS. 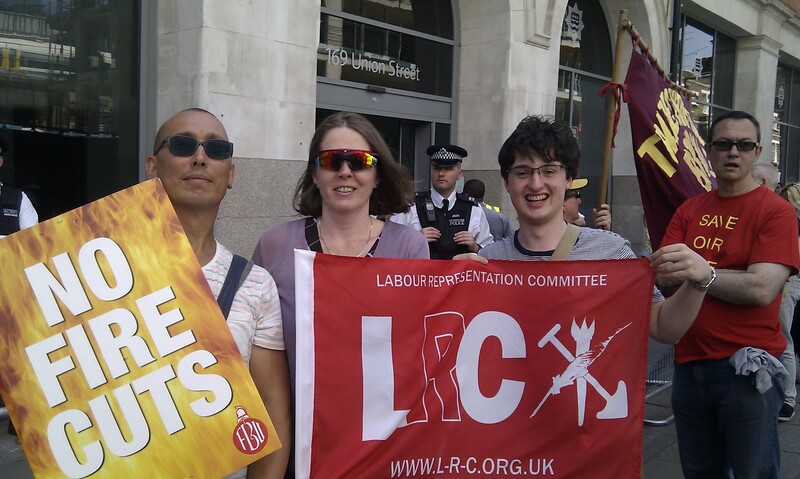 Please show solidarity with local workers by supporting pickets in your area wherever you can, whether that’s at your local higher education college, fire station, post office, or elsewhere. Members of UCU, UNISON and Unite working in higher education will take joint strike action at universities across the UK. Spend a few minutes watching UNISON members explain why they are going on strike. These workers are only asking for what’s fair – an end to a five year pay drought that has seen their pay shrink by 13% causing an increasing gap between their pay and the cost of living, all while they keep our biggest and best universities running. 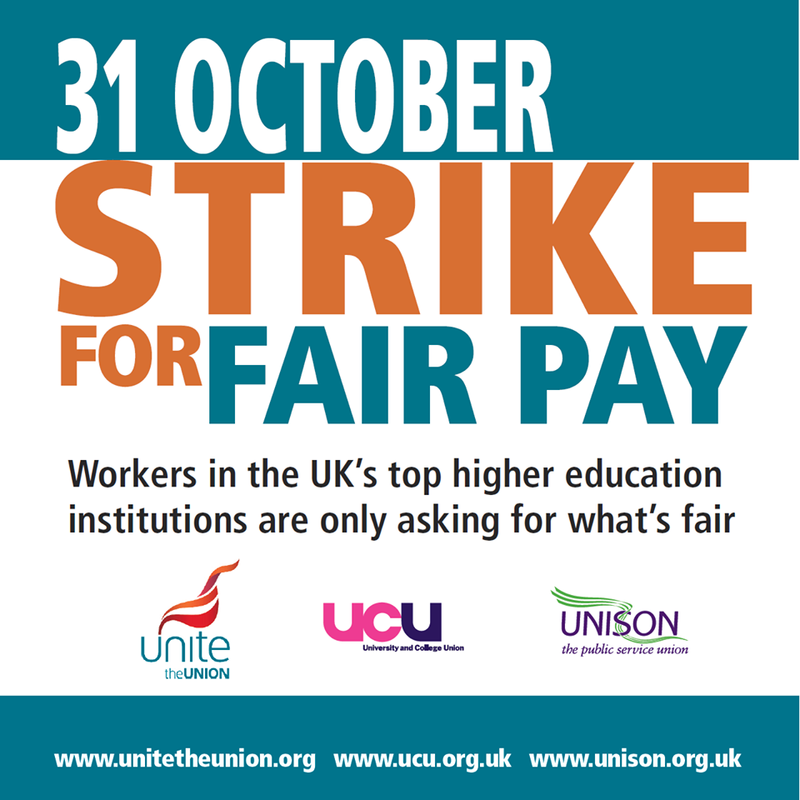 Please sign the petition calling for fair pay in higher education. The FBU has announced two further strikes as firefighters face losing their jobs and a sizeable portion of their pensions under pension scheme changes imposed this April, despite paying ever-increasing pension contributions which will average 14.2% of their wages by next April. The Coalition and employers have failed to address the issue caused by their forced increase in firefighters’ retirement age from 55 to 60 – what happens to any firefighters losing their jobs due to lack of fitness but unable to access their pensions? Please also support firefighters by writing to your MP to object to these changes, using these handy FBU templates. The Fire Service is facing huge cuts under the Coalition and Tory Fire Minister Brandon Lewis is pushing a privatisation agenda. We must stand together now to defend our Fire Service. You may remember Matthew “Cutter” Kershaw as that Tory Hunt’s special administrator who tried to downgrade Lewisham Hospital, illegally as the Appeal Court confirmed this week. Now he’s the Chief Executive of Brighton and Sussex University Hospitals NHS Trust, where his first move was to demand £30m cuts and he’s rushing through service closures, outsourcing and privatisation. If you use NHS services in Sussex, please support this march and rally, where the speakers will include Rehana Azam and Nancy Platts. The NHS “will last as long as there are folk left with the faith to fight for it”. Now we don’t have to tell you who said that – just come out fighting with the rest of us! 4,000 Post Office workers are taking their 13th day of strike action in opposition to plans to close up to 75 Crown Post Offices, franchise some within other shops, cut up to 1,500 jobs and impose a pay freeze. They will be joined by 1,500 administration staff taking their first strike day against a pay freeze, although the planned strike at Royal Mail has been postponed for now. Anyone who’s had to use the main Brighton Post Office since it moved into one cramped corner of WH Smith’s airless basement, where queues regularly exceed 30-45 minutes, can tell you what a disaster this policy is for workers and public alike. 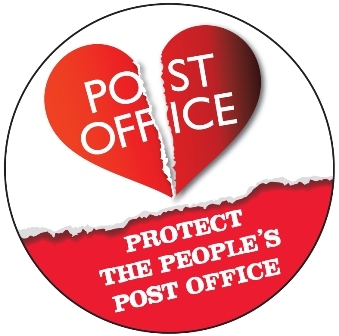 Please show solidarity by supporting pickets at main Post Offices around Sussex, likely to include Bexhill, Bognor, Chichester, Crawley, Hastings, Haywards Heath, Horsham, Hove (Melville Road), Lancing, Lewes, Littlehampton, Newhaven, Shoreham, St Leonards, Uckfield and Worthing. Show solidarity with NAPO when Probation Officers take only their fourth ever strike action for 24 hours from 12 noon on Tuesday 5 November. Experts, including the chiefs of Derbyshire, Leicestershire and Warwickshire probation trusts, talk of unacceptable risks, inevitable damage to performance, equally inevitable increases in public protection failures, more preventable serious attacks and deaths, an unrealistic and unreasonable timetable for this privatisation, with serious implications for service delivery and public safety. Chris Grayling is ignoring the evidence in his helter skelter rush to privatise probation. It is the Coalition’s ideological fixation that has led NAPO members to strike. Please lobby your MP to oppose the Probation Service privatisation using NAPO’s handy Probation Under Threat campaign resources, urge Labour to commit to re-nationalising probation if this sell-off does go ahead, and sign this petition opposing the privatisation of the Probation Service. Tuesday 5 November is also a national day of action against the Coalition’s cuts. Various groups are organising activities, including disabled people protesting in Trafalgar Square, London. The People’s Assembly is organising a protest commencing at 12 noon at the Clock Tower in Brighton. Together with some terrific speakers explore the alternatives to austerity that the Labour Party must include in its next manifesto to stimulate growth, jobs and better living standards. This event will also discuss how Labour Party members can be part of the broad based People’s Assembly Against Austerity movement of all opposed to austerity.